A volunteer city commission promoting the Arts in Auburn, California. Keep up to date by subscribing to the AAC Mailing List and following us on Instagram or Facebook! 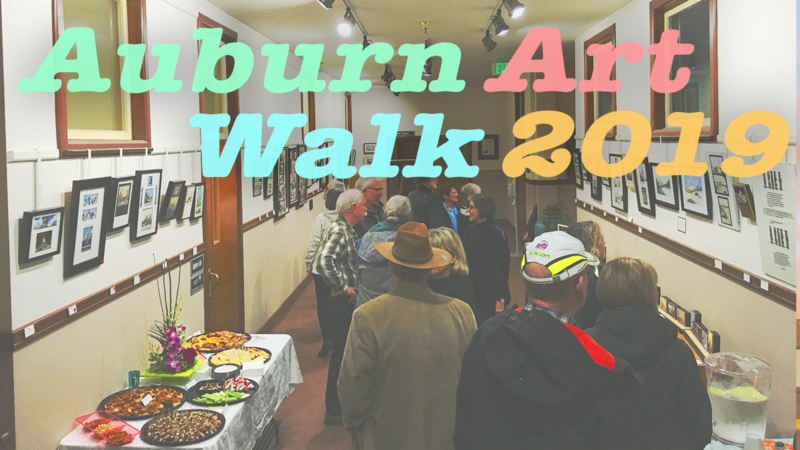 The 2019 Auburn Art Walk Season is fast approaching - be in the know by attending our Art Walk Preview Meetup at City Hall on March 14, from 5-7pm! Auburn native Tevi (Gittings) Lambert, 1947-2004, created hundreds of paintings and mixed media art pieces in her small bedroom / studio near the edge of the American River Canyon, ranging from detailed portraits to gestural strokes with surprising titles and unusual presentation. This retrospective show presents dozens of pieces from her son Matt Lambert's collection. The AAC with Tevi's family is hosting a reception at Auburn City Hall, 1225 Lincoln Way, on Friday, March 1, 2019 from 5-8pm. Every Friday and Saturday evening from June 2 through September 1, 2018, the AAC presented free music at various public venues around Downtown and Old Town Auburn! While the season has ended, there will still be occasional music around town while weather permits. Follow us on Instagram or Facebook for up-to-date announcements, photos, and videos of the music! Check out all the great bands who played this summer! The Auburn Arts Commission's monumental "Sierra to the Sea" mosaic mural was completed in August, 2016. Learn all about the project here. 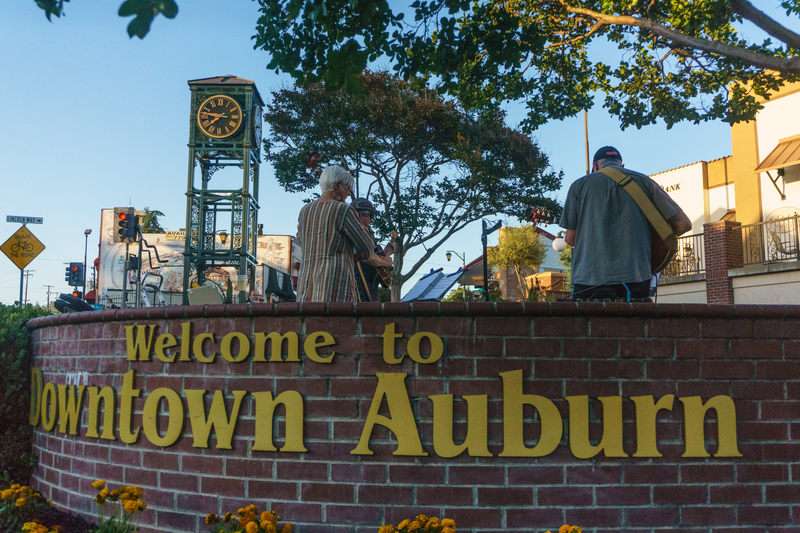 The Auburn Arts Commission was established in 1995 by the City Council of the City of Auburn, California, to foster and promote the visual and performing arts in Auburn. Join the AAC Mailing List to receive our newsletters, announcements and alerts about Arts events and activities in the Auburn, CA region. Auburn residents interested in filling our vacant position may print out an application for appointment to a commission, committee, or board or submit this form online.